A good nights sleep and a place for everything. The Wegner daybeds are the perfect blend of functionality and convenience. The unique design , is a result of the fusion of Getama’s expertise in mattress making and Wegner’s practical thinking. In response to the growth in the number of student hostels in the early 1950’s Wegner designed this unique series of daybeds. with a sprung mattress to ensure a comfortable nights sleep the hinged back support lifts to give access to a generous storage for sheets, pillows and duvet. In total Wegner developed over 120 designs for Getama. 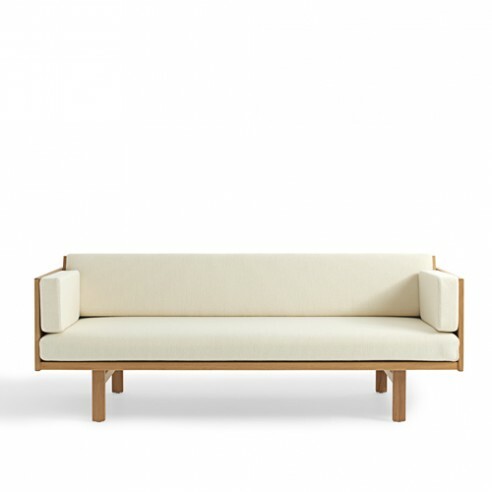 His practical approach to problem solving, evident in this series of Daybeds’ is one of the reasons the partnership between manufacturer and designer was so successful.